Posted in Baby G, Random	by Kendra G.
Of course I spoke too soon in Crosby’s eight month update. This weekend he was crawling all over the place and he spit up all weekend. He’s definitely working on another tooth coming in so he was extra cuddly too. 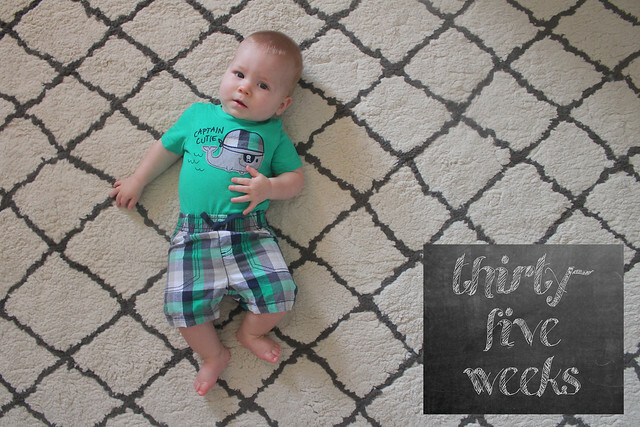 Happy thirty-five weeks sweet boy.